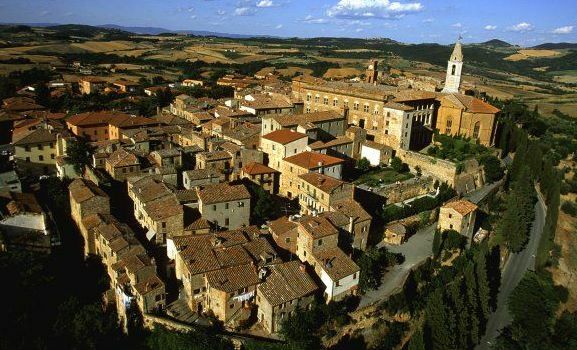 The town of Pienza was originally know as Corsignano, a small and humble Toscan village. 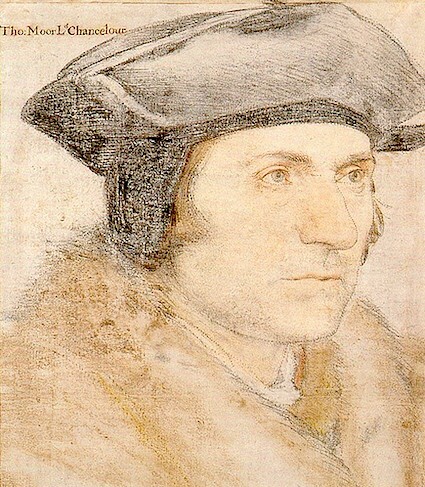 But its most famous son, Enea Silvio de’Piccolomini, a well known poet, philosopher and politician and a ‘Renaissance humanist’, was elected Pope in 1458. A year later, as Pius II he hired architect Bernardo Rossellino to redesign the entire village of Corsignano along the ideas of ‘Renaissance humanism’ which are basically Utopian. 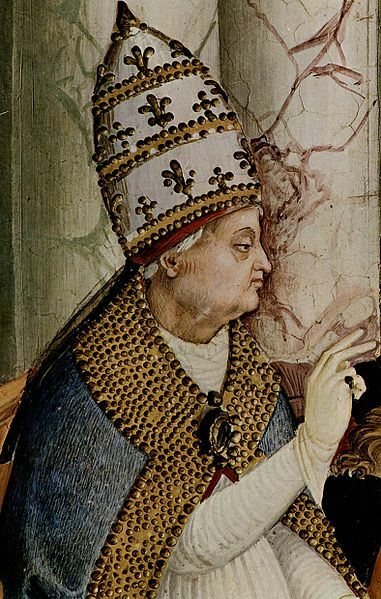 No one is quite sure why Pius II, (born in Corsignano in 1405), decided to create a model city from his humble birthplace, but he did, and he hired the architect Rossellino to do the job. Another mystery that surrounds the birth of Pienza is the motivation of the architect: did Rossellino set out to build an original model city, a monument to Pius, or a faithful recreation of his patron’s dreams? No one is quite sure. What we do know is that the town was built as a model example of classic Renaissance architecture. It took only 4 years, from 1459 to 1462, to achieve this transformation and the town was built to a precise design encompassing the ideals of the Renaissance, a sort of perfect city…and the town is really magnificent. Set in a gorgeous archetypal Tuscan landscape, Pienza, christened so by Pius after his Papal name, draws visitors with Rosellino’s monuments to Pius II that form the core of this model city: its central piazza Piazza Pio II, , the Duomo, and the Papal Palace. 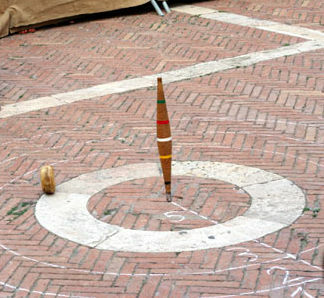 All the major sights in Pienza sit here, on Rosellino’s famous piazza. The piazza itself is elegantly proportional, and appears simple in design. It is set much more as a place where citizens could carry out their daily lives, rather than an impressive and perhaps grandiose statement. Half a century later the utopian concept of an Ideal City originated a book: Utopia. 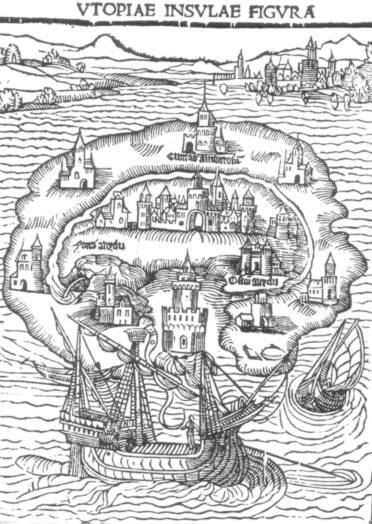 by Sir Thomas More (1516) where it is depicted as an imaginary island (the black and white picture top center), enjoying perfection in order of construction of the basic layout of the “city” and all other social elements: law, politics, and social justice. It describes an ideal place or state in all aspects. The reference to agriculture states: “They cultivate their gardens with great care, so that they have both vines, fruits, herbs, and flowers in them; and all is so well ordered and so finely kept that I never saw gardens anywhere that were both so fruitful and so beautiful as theirs. And this humour of ordering their gardens so well is not only kept up by the pleasure they find in it, but also by an emulation between the inhabitants of the several streets, who vie with each other. And there is, indeed, nothing belonging to the whole town that is both more useful and more pleasant. Utopia as an idea has expended to describe any visionary system of political social or esthetic perfection, and nowadays as the unattainable perfection in all aspects of human aspirations. In short as much as we strive to attain perfection it is beyond our grasp partially due to our basic human flaws. 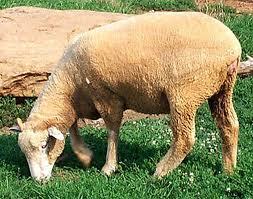 The word “pecorino”, from “pecora” – a ewe –sheep, is a quite recent invention. 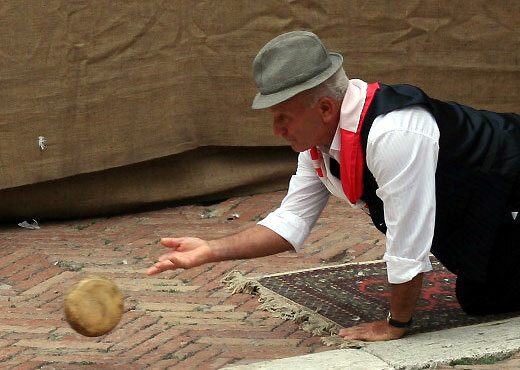 Until70 years ago, locals used the term “cacio”, and indeed the cheese rolling competition held in Pienza on the first Sunday of September is know as “cacio al fuso” – The aim of the participants in this popular festival is to see who can roll the cheese so that it stops closest to the spindle. Pecorino di Pienza is a unique sheep’s milk cheese and it gets its name from the ancient city of Pienza, (just 13Km east of Montepulciano). 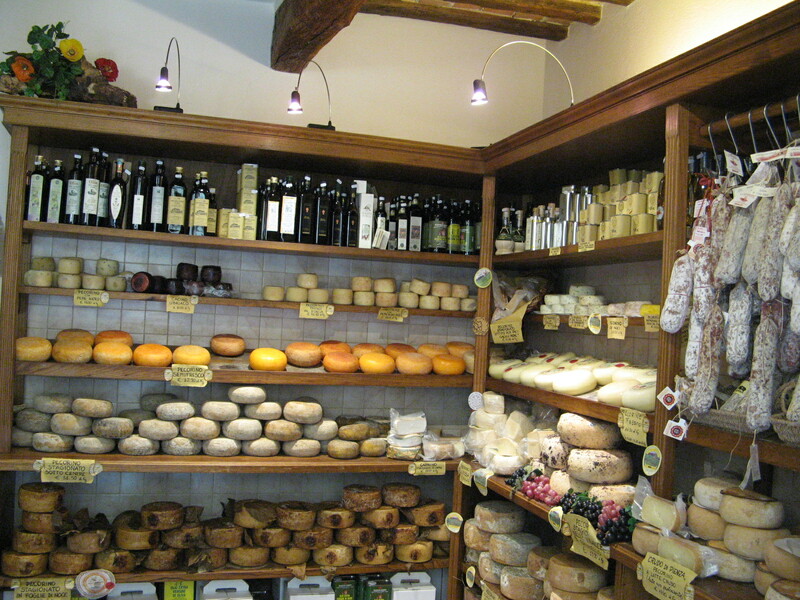 The pecorino cheese of Pienza is one of the best in Italy, especially the version ‘sotto cenere’ or ‘under the ashes’. The cheese has ancient origins and has probably been produced in the zone since man first settled here. This particular cheese is sometimes known as ‘Pecorino della Val d’Orcia’ or ‘Cacio di Pienza’ it is produced between October and July and seasoned for up to 2 months to give it its distinctive flavour. The sheep are raised out in the open and graze exclusively on the local flora. The aromas of rare plants that grow in the clay soil of the Crete Senesi (wormwood, meadow salsify, juniper, broom, and burnet ) Their aroma can be sensed in the sheep’s milk. After milking the sheep, the milk enters immediately into the cheese-making process. It is coagulated with veal rennet, or rennet made from the stamen of wild artichoke, marinated in vinegar and salt, or left to dry and then placed in warm water. The wheels of cheese mature in very humid cellars and periodically their walnut leaf-wrapped rinds are damped first with Tuscan olive oil, then with grease and wax. The round wheels can vary from around 10 -20cm in diameter around 1-2Kg. After about 40 to 60 days the fresh cheese is ready to be consumed and has a soft, slightly spicy flavor. If left to age for five to twelve, sometimes even eighteen months. The aged cheese has a nutty tannic aftertaste which reminds fresh pecan nuts with the separating membrane, and a soft, crumbly texture in the mouth. Pecorino di Pienza pairs perfectly with the wines of the region, from Chianti to Montepulciano. The fresh pecorino (pecorino fresco) is a soft, white cheese with a comparatively mild but still strong flavour. The texture can range from soft and moist to crumbly and granular, but is usually the former. 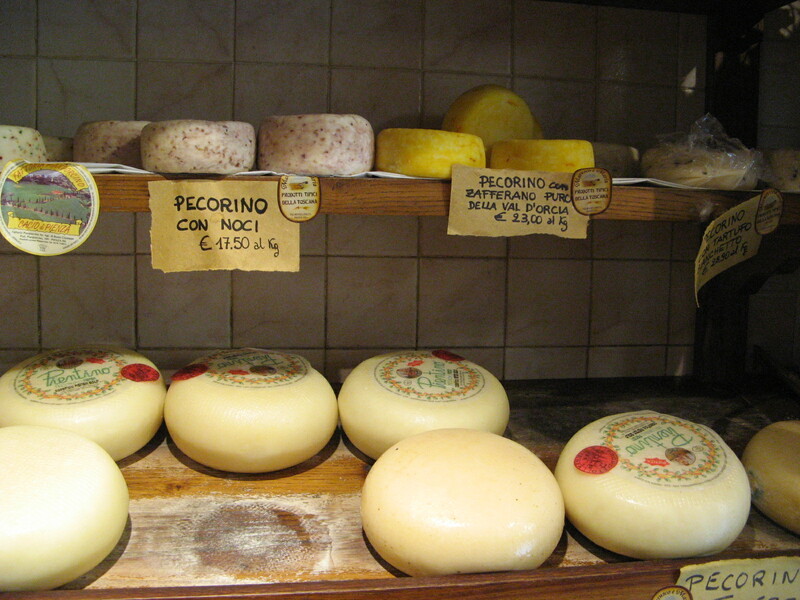 A variety that is often eaten fresh is known as Pecorino Toscano and is made in Tuscany. It has a whiter colored paste that is creamier in texture, providing a somewhat nutty flavour. 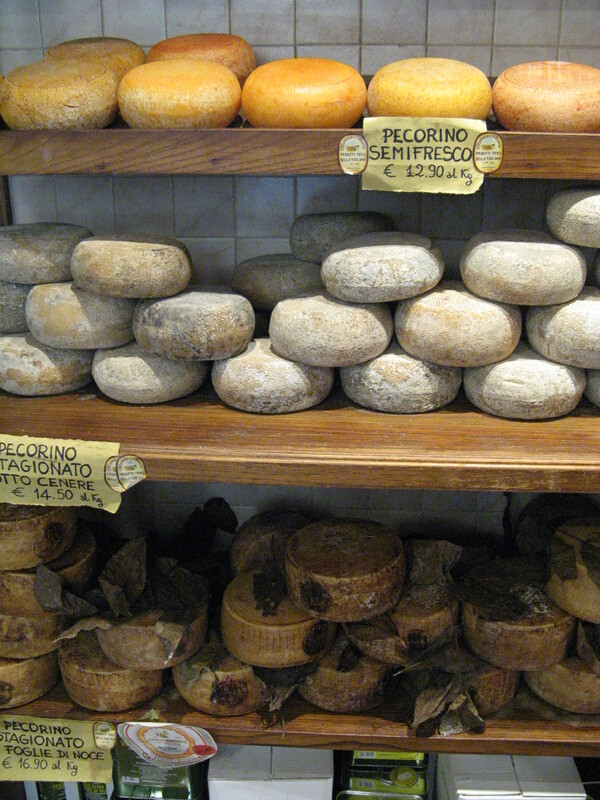 under recent laws, a cheese marketed as pecorino must now be made 100% from ewes’ milk. Another Tuscan pecorino is the Pecorino Senese or Senesi, which is a cheese that has a reddish rind due to the rind being rubbed with tomato paste. 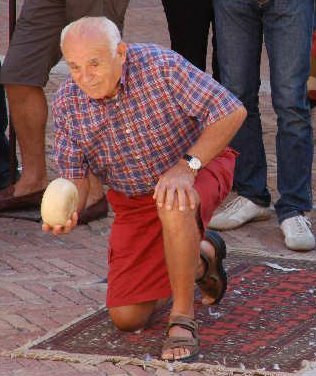 In years past, the rind was rubbed with sheep blood to obtain the red colour. These are so good on their own but also with red or white wine and locak bread of course YUMMM. As the pecorino ages, the bone-coloured paste becomes darker in color with a firmer texture and a saltier flavor. 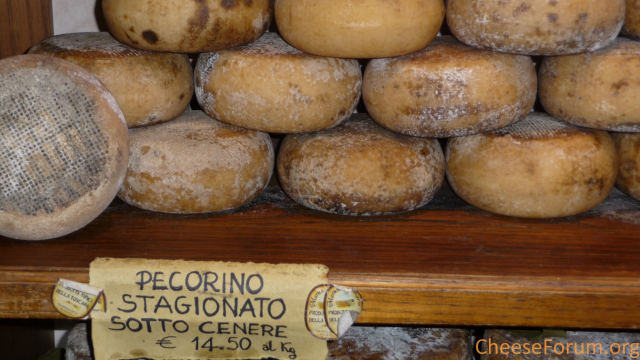 The rind is light on pecorino fresco, and orange- or black-coloured on a medium and fully matured pecorino (pecorino stagionato). My favorite winery and wines of the Tuscan region come from a small but well known winery in the chianti region in a small commune between Castellina in chianti and Greve, Olena Barberino Val d’Elsa Firenze, Italy. Here between the small communes of Isole and Olena lies the beautiful winery and vineyards of Paulo the Marchi and his wife Marta; Isole e Olena winery. I have known Marta and Paolo for over 20 years now and even had the honor of having them and their children for Lunch at our house on their first and only visit to Israel. (amongst them was young Luca who is now a winemaker in his own right, making Piemonte wines in Proprieta Sperina in Lessona the old family estate) “We must come again for a visit to Israel next Easter” if I can find the time… but he is ALWAYS too busy with the vineyards and winery, so we meet from time to time in Toscana, and over the years Isole e Olena have been transformed from a farm house with muddy paths and winery razzamatazz to a country home with a ultra modern winery beside it and atmospheric, classic looking cellars, Inspiring. Cepparello was first produced in 1980, well before the change in local DOC regulations that allowed for a single varietal Sangiovese wine, I think you can say that Paolo was a pioneer of the pure Sangiovese movement. Isole e Olena is comprised of two farms/communities: “Isole” and “Olena,” acquired by the De Marchi family in the 1950s. The family’s origins are from northern part of Piemonte. 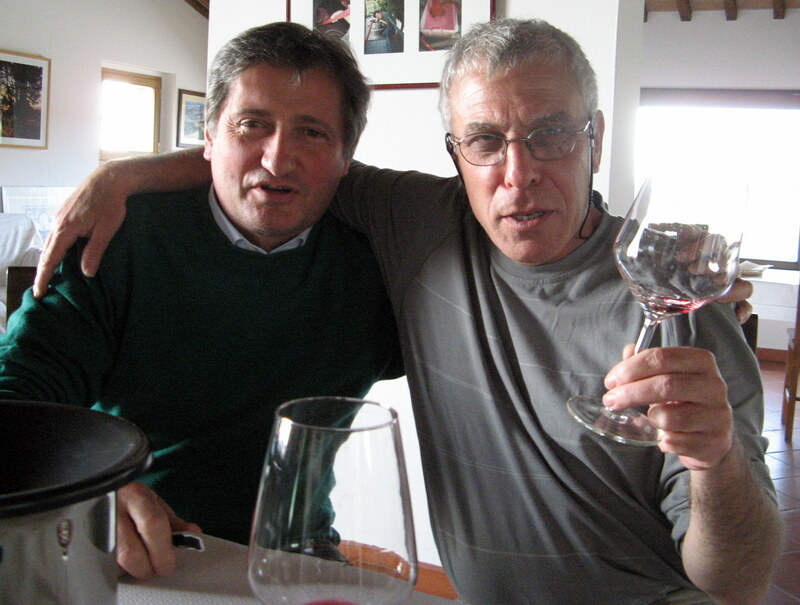 Paolo de Marchi, is the fourth generation of the family to make wine in Italy, but he moved from Sperino in Lessona, Nebbiolo country to Toscana and it’s Sangiovese. It took 15 hard years of work before he was producing the quality wines he aspired to. 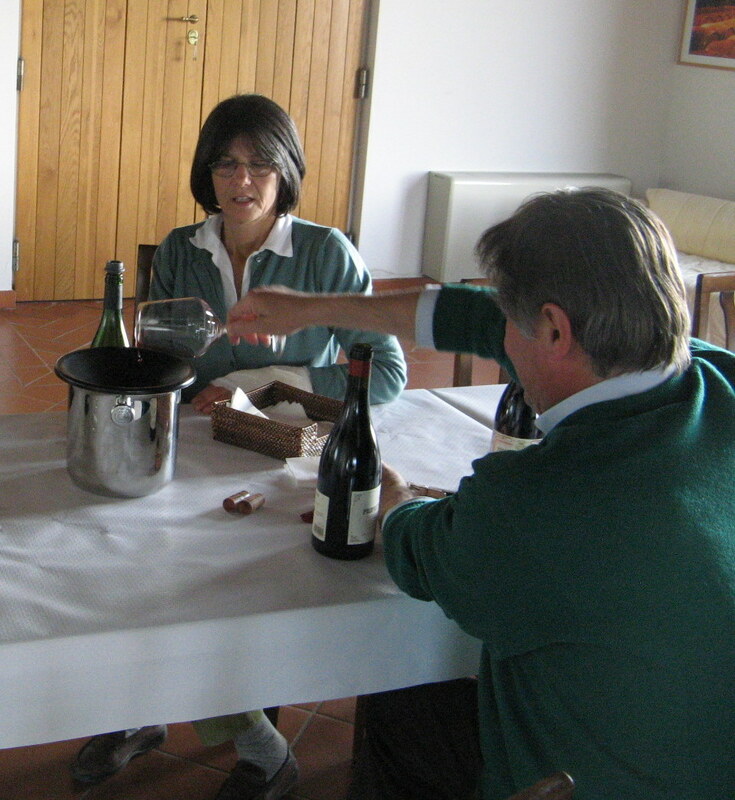 With the help of enologist Donato Lanati, he has continued to excel as one of the region’s top estates. 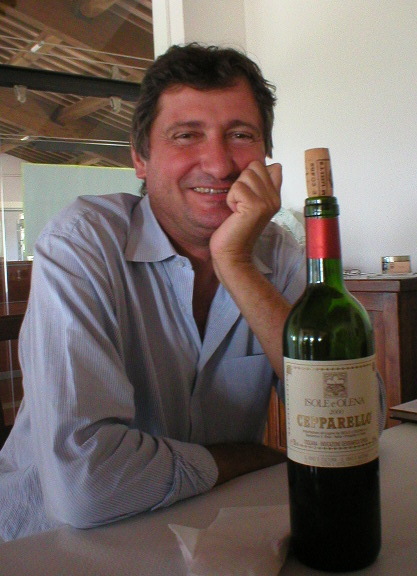 Paolo de Marchi’s belief in Toscana’s indigenous Sangiovese, and production of “Super-Tuscan” wines from grapes not indigenous to the Chianti region, together with his “contradicting” love to the characteristics of good Chianti, has set him apart from other producers in the early days, by making one of the finest Chianti Classico’s on the market. Paolo still produces small amounts of wine from international varieties, such as Cabernet Sauvignon, Syrah, and Chardonnay. As a young winemaker Paolo was so over occupied with his strive to perfection, that he did not have time for tourism, “It would distract us from our wines.” That was in the 1980’s and 1990’s when the Utopian Idea of a perfect wine being possible was burning in his veins. (If it wasn’t for Marta’s support I cannot see this period passing by without ill effects.) In the last 10 years Paolo and Marta managed to build (mostly underground, and in spite of the strict building regulations of the region) one of the most exquisite and beautiful winery and underground cellars of all Toscana. From a small boutique winery adjacent to an old country farm house, it became a place of pride and joy and rightly so! Well worth a visit. 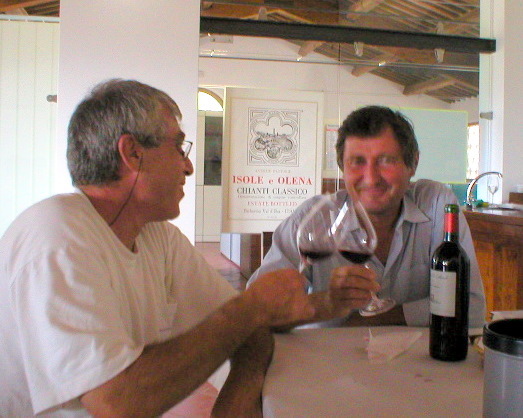 Isole e Olena is also worth visiting if you like to talk wines (arrange well in advance), the passion and enthusiasm in the air when Polo talks about wine is contagious, educational, and inspiring. I have a feeling that now the idea of making the best wine I can, rather than the BEST or the perfect wine, is at the core of the winery’s philosophy. It leads to wines produced at Isole e Olena: some superb Chianti Classico, of course the Cepparello, the pure Sangiovese with all its finesse and complexity, the most multilayered perfectly spiced Vinsanto of the region (in my mind), and the Collezione de Marchi line of Cabernet Sauvignon, Chardonnay, and L’Eremo, from local Syrah grapes, which Paolo originally intended to use to add color and depth to his Chianti Classico However nowadays a careful selection of Sangiovese (Chianti’s principal grape),is used to achieve this goal, and The Syrah is used to produce the wonderful L’Eremo . light golden hue, sweet apple compote on the nose with a touch of ripe pineapple scent notes of sweet oak in the background, Very refreshing in spite of the alcohol feel at the finish. 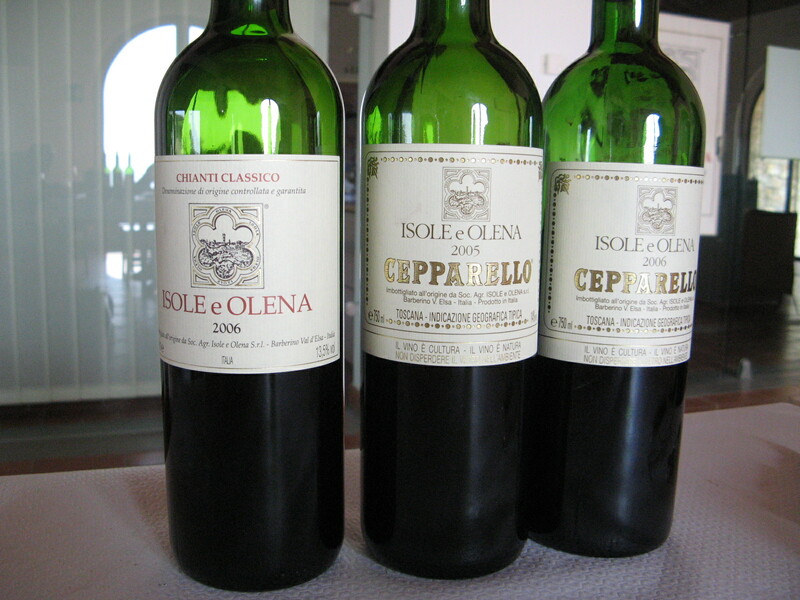 Isole e Olena Cepparello 2005: Dark red with purple robe than Explosuion of ripe red fruits and berries on the nose and firm tannins and good acidity on the palate which balances the wine very well and allow it to be a great keeper. It has the Cepparello elegance with undertones of green fresh peppered oregano. The alcoholic strength it felt and will mellow in time as all the elements combine in a few years. This the closest you get to the Nectar of the Gods (chosen by Zeus off Dionysus hands), Honeyed thick wine to the eye with rich scents dried figs and raisins and dried orange peel still light on the palate without the sugar overtones other Vin santo’s have, due to good balancing acidic touch some vanilla on the finish make it the perfect desert a blessing to god and men..
Another amazing afternoon with Marta and Paolo, Grazie mille per la vostra amicizia .